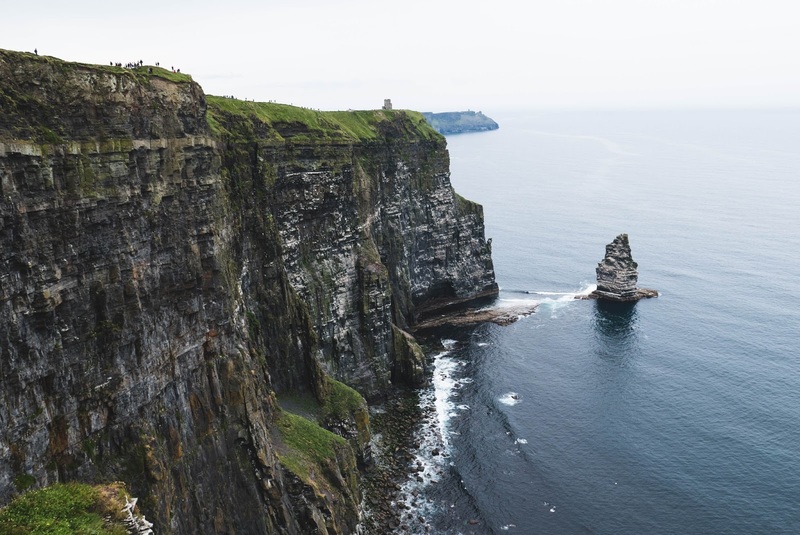 Ireland's West Coast has some of the most breath-taking views imaginable, one of the major reasons it is often the backdrop of epic films and TV shows. 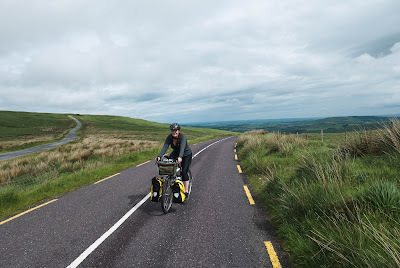 In terms of cycling, it is a challenging mix of steep climbing, perilous descents, crosswinds, headwinds, narrow lanes, and constantly overcast and unpredictable skies - but each challenge is consistently and equally rewarded with stunning vistas, friendly towns, and intriguing wildlife. 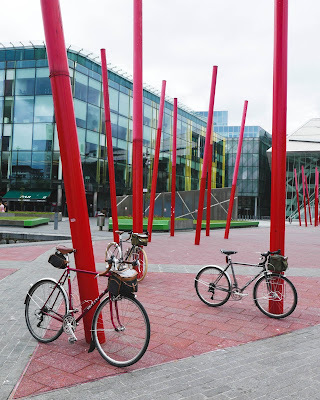 Our plan was to arrive in Dublin, stay with friends a couple days for a tour of the city, train to Cork, ride to Westport, then train back to Dublin. Due to traffic controller strikes at the Iceland airport, we were forced to shave 2 days off our trip. 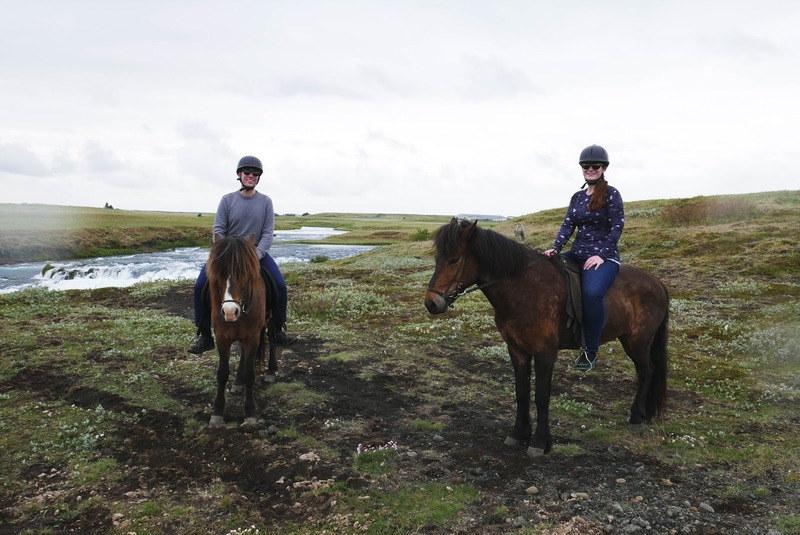 No biggie, we made the best of the time we were stuck in Iceland by riding a different kind of steed. 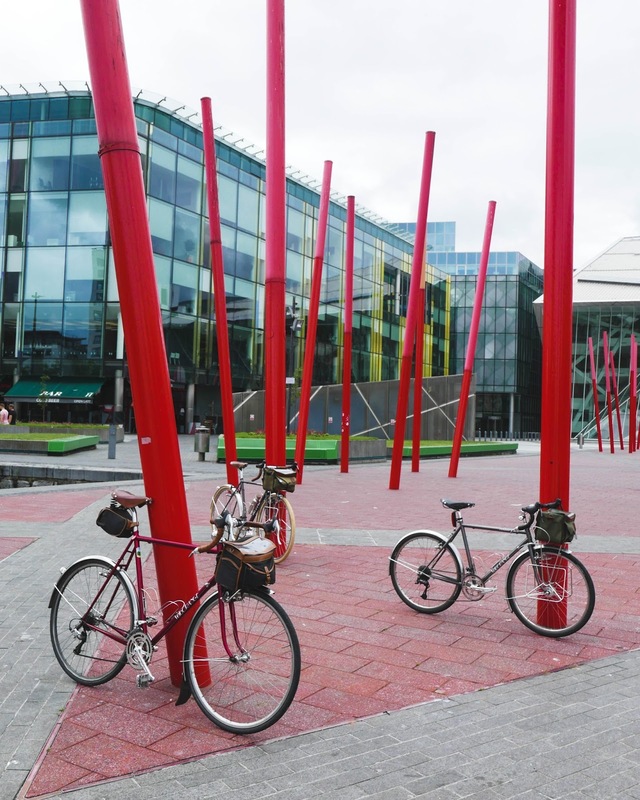 Finally we made it to Dublin, unpacked, got caffeinated, and explored the city by cycle. The next morning, we jumped on the train and hopped off at Cork. How could we not stop at the Butter Museum? 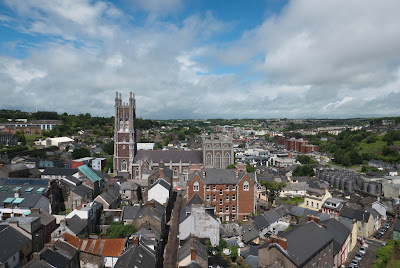 We also climbed up St. Anne's Tower to ring the bells and gain a terrific viewpoint. Apparently, we accidentally rode over some of the highest peaks in Ireland. There is a distinct lack of switchbacks out on these roads. 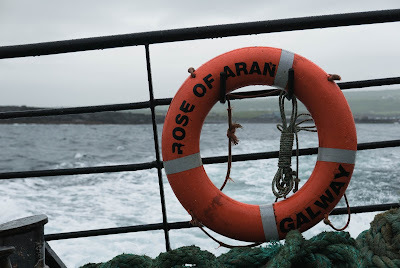 After visiting the Blarney Castle and House, we continued to the Dingle Peninsula. 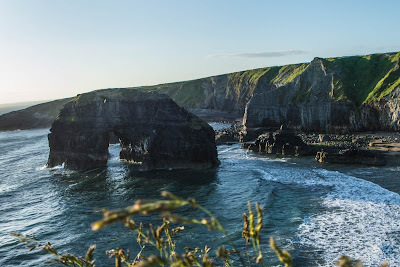 Inch Beach is a spectacular beach, extending off the main land and flanked by a cliffside to the North and mountain views across the ocean inlet. Ballybunion is a small seaside town with golfing as the overwhelmingly popular sport. We skipped golf and moseyed on down to the beach and cliffside walk. 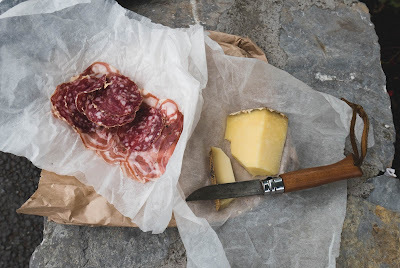 But first a snack. 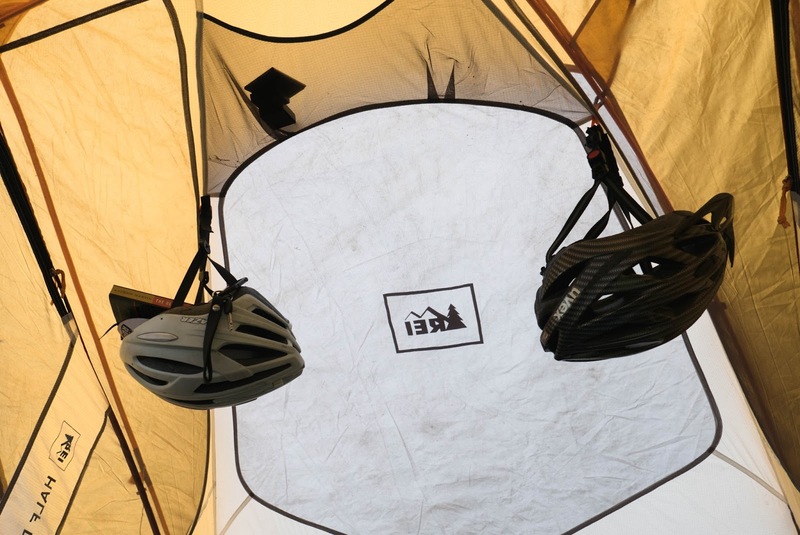 Pro-tip: Clip your helmet inside the tent for more storage space. Hopping back on the bikes, we headed up to the Cliffs of Moher. It was a rather tough but short climb by bike, but we were in good company and in fact accidentally joined the paceline of a large cycling event. 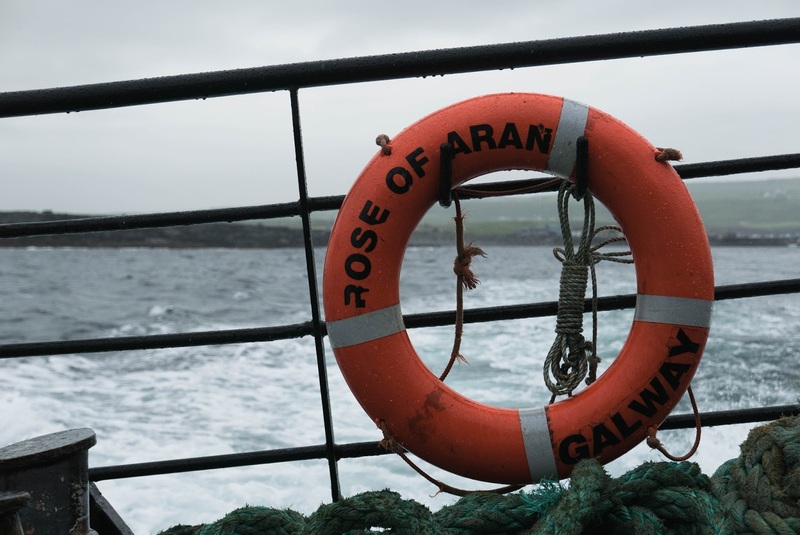 From there we ferried to the first of a string of tiny islands accessible only by ferry or small aircraft. 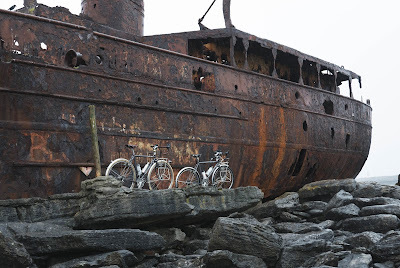 We loaded our bikes onto the ferry for Inisheer just as the weather began to kick into high gear. Galway on through Westport was a great wind-down complete with the only tailwinds of the trip, and afforded us the opportunity to see such local recreation as urban fly fishing and a hurling match. The route was perfect, the people friendly, and the riders extremely satisfied. We will definitely return for more riding in the Emerald Isle. Do you have an upcoming tour? Where would you want to go? In Coming and Camping Out This Weekend! Remember, if there is something out of stock, if you click on the "sign up here to get notified" button on the product page, you'll get an automatic email when it comes back into stock. Also a reminder that the big Swift Campout is this weekend. A great excuse to get outside and go camping for a night or two. We have some folks out camping this weekend, so stay tuned next week for some photos of our camping adventures. Any one heading out this weekend? We'll be carrying these new 11-speed downtube shifters from Dia-Compe. They're the same as any 10 speed shifter, but with a larger barrel for extra cable pull. 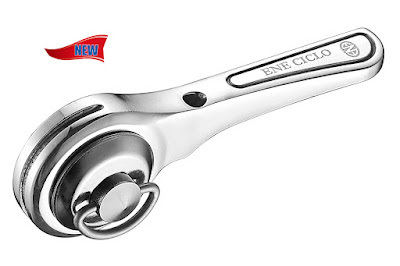 The shifters have a ratcheting mechanism, but they aren't indexed. If you're not into 11 speed stuff, you might still be interested in these shifters. I was tinkering around the shop yesterday and figured out they have enough pull for 10 speed Shimano dynasys rear derailleurs. Shimano mountain components are nice for touring. They're rugged and their cages are long enough to wrap around a large cassette . XTR is short for xtreme. Here's my Pass hunter now. 10 speed XTR rear with downtube shifters. 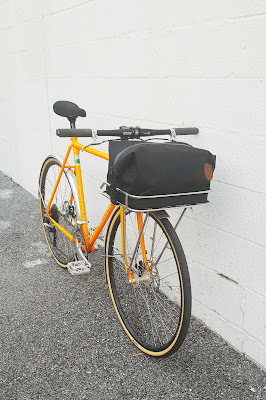 I figured I'd try out some flat bars too. They're trendy now. Besides 11 and 10 speed mountain, they're also good for 7, 8 and 9 speed Shimano. I haven't tried it yet, but they might even work with some SRAM stuff. If you're curious about compatibility, check out this article on Art's Cyclery's blog. It's a bit technical, but it's thorough and fairly up to date. I couldn't word it better myself. So what do you think? Could you use these? 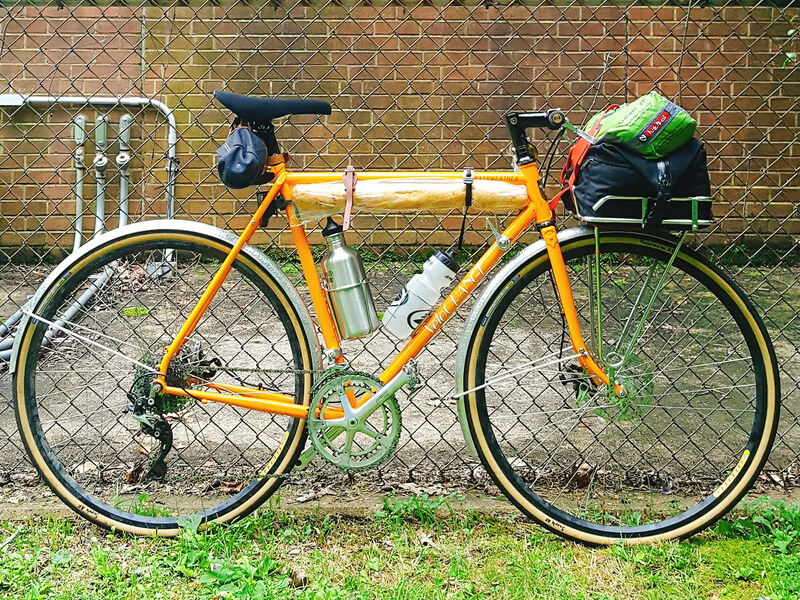 Frugality is cool, but hard to practice when you're building up a new frame with new parts. 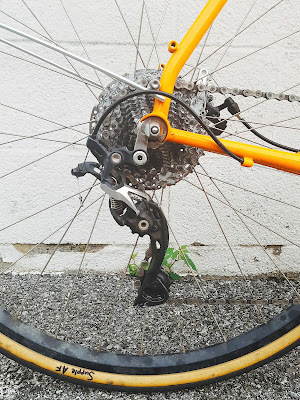 There's nothing wrong with scouring Craigslist and ebay for pre-owned bike parts (I do it), but it takes a lot of time and effort, and you can end up with some pretty worn stuff Sometimes you want new shiny bits that you know will just work. So I've assembled a list of parts that I'd use to save a little on a new build. VO Micro Fiber Saddles: Leather saddles look great and, after they're broken in, are probably the most comfortable. 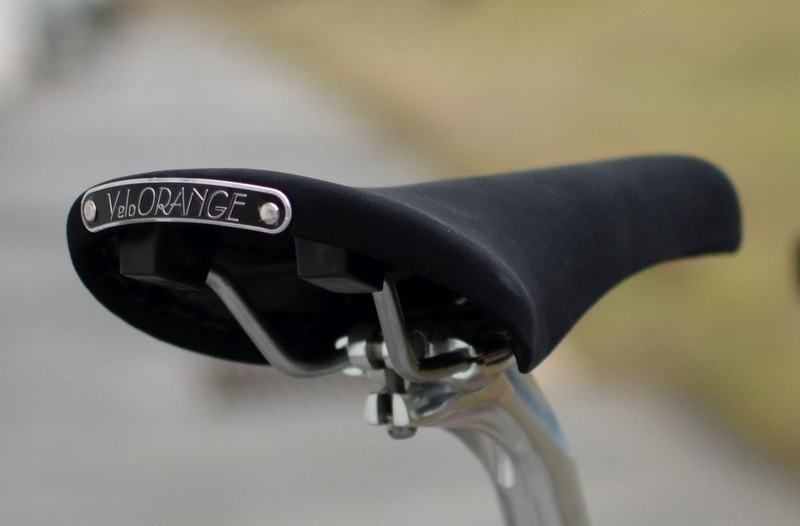 In my experience, though, the VO micro-fiber saddles are 95% as comfortable at about half the price and weight. Plus, they don't need to be broke-in, they don't need to be protected from rain, and they don't attract thieves (lots of leather saddles get stolen). We make them in a narrow and a wide version, and next year we'll have models with a smooth cover. 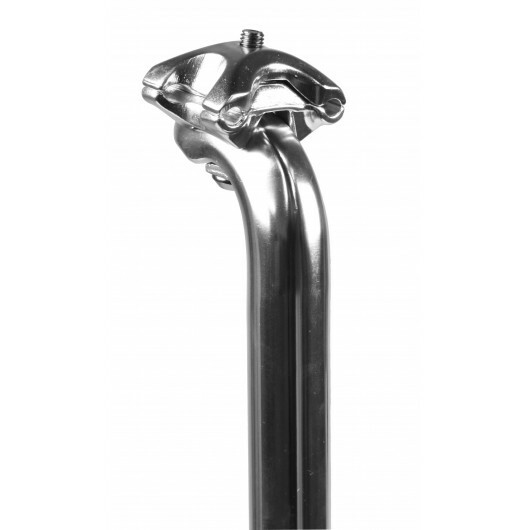 Saddle Loops: Speaking of saddles, these little bolt-on loops allow you to use a saddle bag on almost any saddle. Maybe there is no need for a new saddle if you have an old favorite. 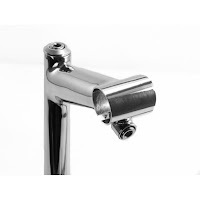 Falcon Thumb Shifters: These are not high end components, but they work surprisingly well, are comfortable to use, and are compatible with almost any 5- to 9-speed derailleurs. They even come with cables. The best part is they cost 12 bucks. No, really, $12 a pair. 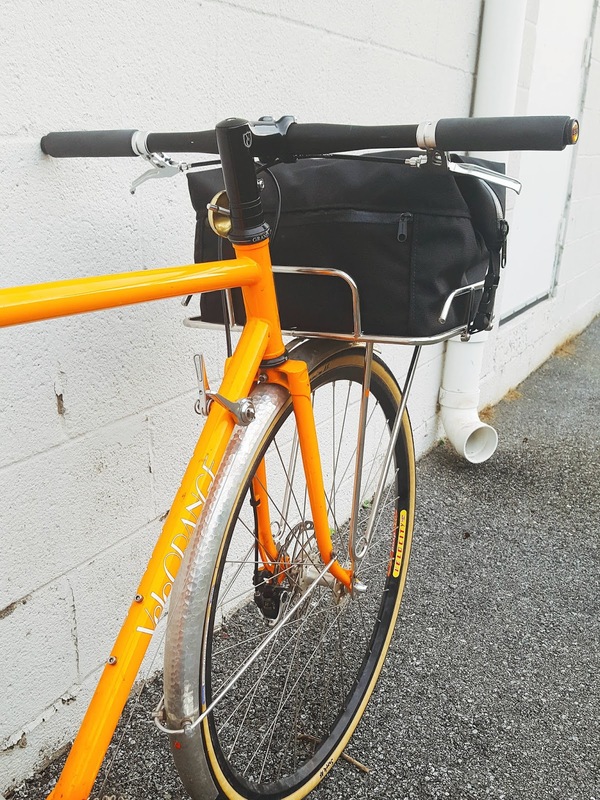 Dajia Seatpost: The Grand Cru seatpost is better and offers more setback, but the Dajia seatpost is strong, simple, nicely finished, and comes in many sizes. If that's not enough, it's also really inexpensive for such a well made component. Deore derailleurs and shifters: We don't sell them, but if you want durable derailleurs for touring, Shimano Deore are a great choice. Deore components have been made for decades and they come in many versions. Several VO staffers look for new-old-stock, or just new, Deore stuff for most of their builds. 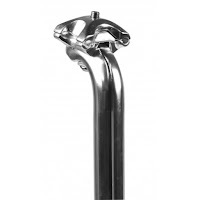 Tourist bar: We have 19 models of handlebars in our store, but for casual around town use the $25 Tourist bars are among my favorites. I've recently used them for a little gravel grinding too. The Milan bar is similar, but with less rise. VO Quill Stem: These chrome quill stems look like a custom stem and get you bars as high as a Nitto Technomic, yet they cost no more. VO Specials page stuff: There are usually some great deals here. VO wheels: VO wheels use our hubs with superb Japanese bearings and high quality rims, yet they are priced lower than many lesser wheels. They are made with a combination of hand and machine building to keep cost low without compromising quality. 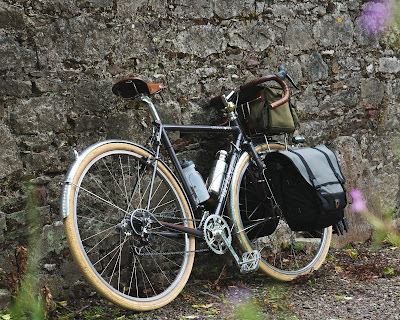 Paselas tires: The Japanese Pasela tires may not be the cheapest option, but the great ride quality, durability, and classic looks makes them a bargain. Tektro CR720 brakes: We love these canti-brakes. 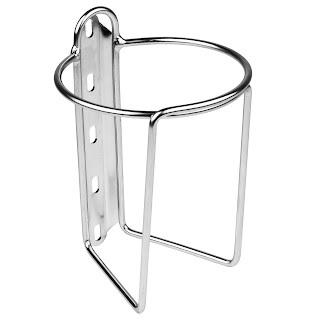 They are great stoppers, good looking, easy to set up, and only $29/wheel. VO Alloy Headsets: Sealed bearing headsets are great, but folks have been riding with regular ball bearing headsets for over 100 years. Keep them adjusted and greased and they will last a very very long time. You can even replace the bearings for a couple of dollars. It's been a while since I've cracked a materials textbook, but we get questions about these things every once in a while. Here are some of the basics for alloys you're going to see in the bike world. I'm going to keep it as non-engineer-y as possible, so don't worry about it when I say things like weight instead of mass. Let's start with properties. Some important properties for materials on your bike are strength, weight, corrosion resistance, cost, and manufacturability. Within the strength discussion there is yield strength, fatigue, elasticity, and impact resistance. Yield strength describes how much stress you can put on a material before it permanently bends. This is important for a single large impact, like a drop on a mountain bike. Fatigue is important if you do that drop 10,000 times. Little forces create little bits of damage that build up over time. Elasticity as a property is pretty straight forward so I'll just talk about the marketing behind it. Skinny tires are out. Tires are getting bigger. Comfort is the new speed. I appreciate that this style of riding is trending more, but I think words like compliance are silly. Stiff carbon frames are too uncomfortable, so we need to make them more flexible. We need it to sound intentional. We'll call it compliance! 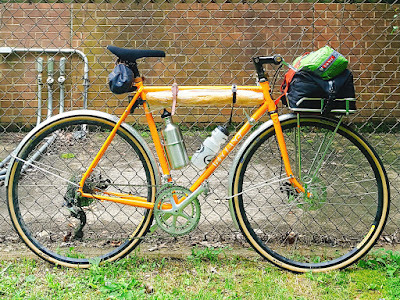 Impact resistance is especially important in a touring bike. A high end frame may be strong to ride, but if the tubes are thin, they'll be prone to denting. There's more discussion on this sort of stuff in an older blog post. Corrosion is important depending on where you live. Salt from water or roads is nasty stuff for your bike. 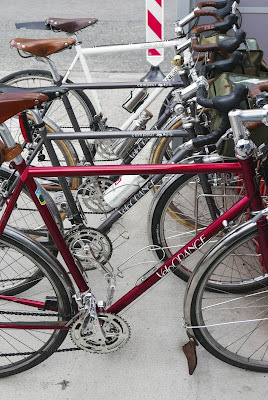 Rust on steel and pitting in aluminum are pretty common forms of corrosion for bikes. Most components are going to have some form of corrosion resistance. Paint, coatings, or material properties are the most common means of protection. Best to keep an eye on corrosion, as it can lead to failure if it's bad enough. Not much to talk about in terms of cost: some materials cost more than others. Make sure you're spending your money for the right reasons. Manufacturability is less important to the customer, but just know that some materials are easier to work with than others. Some are easier to machine (cut into a shape), some are easier to weld. For example, stainless steel and titanium are more difficult to weld than cromoly. So even if the material itself is stronger, there's a chance (if the welder is inexperienced) that the connections can be weaker. On to materials! Steel is the most important alloy of cycling. I'm not here to discuss the differences between different annealing/hardening methods or the differences between Reynolds and Columbus tubing, but I'll discuss basic properties. Steel is easy to weld and easy to braze. It's the most elastic of the materials discussed in this post, so it'll stretch more before it breaks. 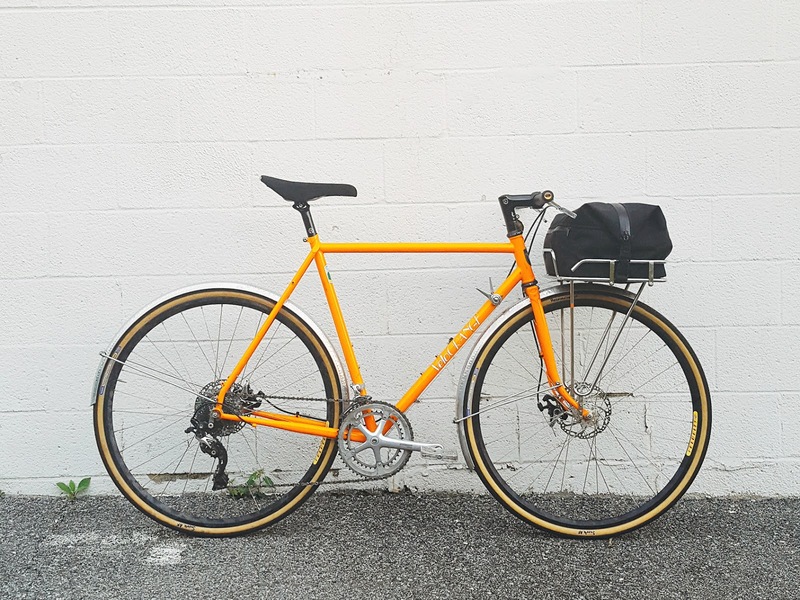 4130 Chromoly is a useful steel in the bike world. 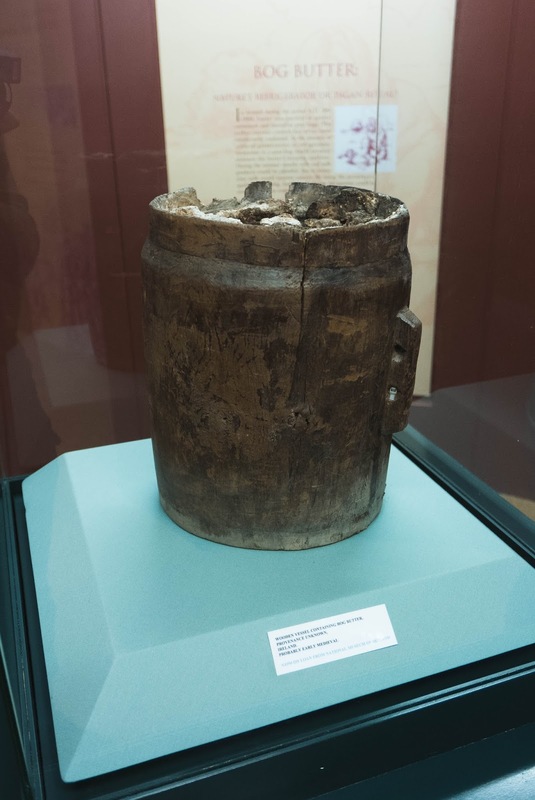 It's strong, light, and can be worked into all sorts of shapes. As you may have guessed, this is what our frames are made out of. Aluminum is a light and rigid, but brittle. It's good for weight savings but usually not the strongest option. It's also easy to machine, but harder to weld. Aluminum is also fairly corrosion resistant, although over time, pitting is possible. Because of its brittle nature, failure is more catastrophic than steel (meaning it will break all at once instead of bending like steel). Additionally, aluminum frames are thinner than steel frames, so they're easier to dent. 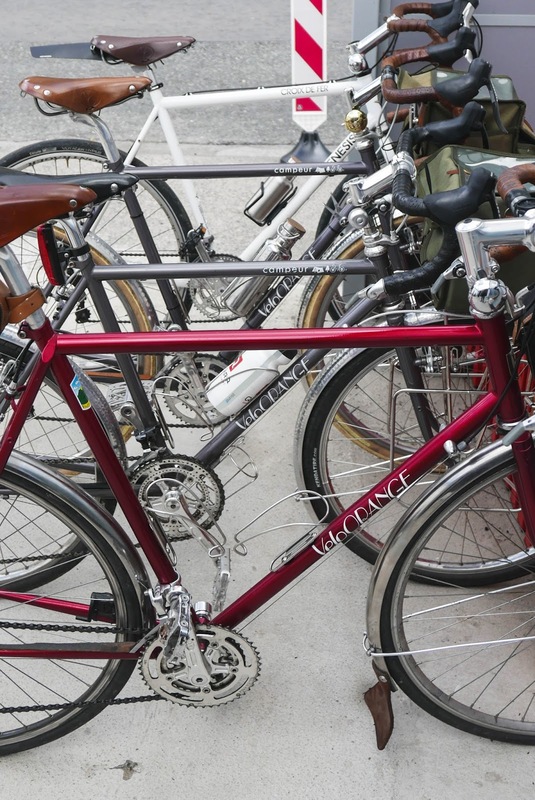 There are four different types of aluminum alloys common to cycling: 2000 series, 6000 series, 7000 series, and scandium. 2000 series aluminum is easy to machine, but hard to weld. Copper is the main alloying metal. It's not all that common in cycling. 6000 series aluminum is probably the most common, easy to weld, generally good all around. Magnesium and silicon are the main alloying metals. Most of our aluminum components are 6061, (stems, crank arms, etc.). 7000 series aluminum is generally the strongest, but can be expensive and brittle. Zinc is the primary alloying element. Our chainrings are made out of 7075 aluminum. You'll occasionally see scandium frames in the bike world, which refers to scandium aluminum alloy. It's light and strong, but it's prone to failure so is less common these days. Stainless steel is used where the strength of steel is needed, but other means of corrosion resistance are insufficient. We make our racks out of stainless steel so they'll last for the long haul. This means our connection points (welds not brazes) won't be as pretty, but we think it's worth it. Titanium is an exciting material in the cycling world. It's stronger than steel and has natural corrosion resistance, though it has a few drawbacks. It's expensive and tends to be more brittle than steel There are two different titanium alloys commonly used in the cycling world, 3Al-2.5V and 6Al-4V. The numbers refer to the ratios of aluminum and vanadium in the alloy. 3/2.5 is standard as far as titanium goes; 6/4 is the more exotic of the two, lighter and stronger than 3/2.5, but harder to work with. The points discussed in manufacturability apply here. It's generally used sparingly in places where strength and weight savings are more important. 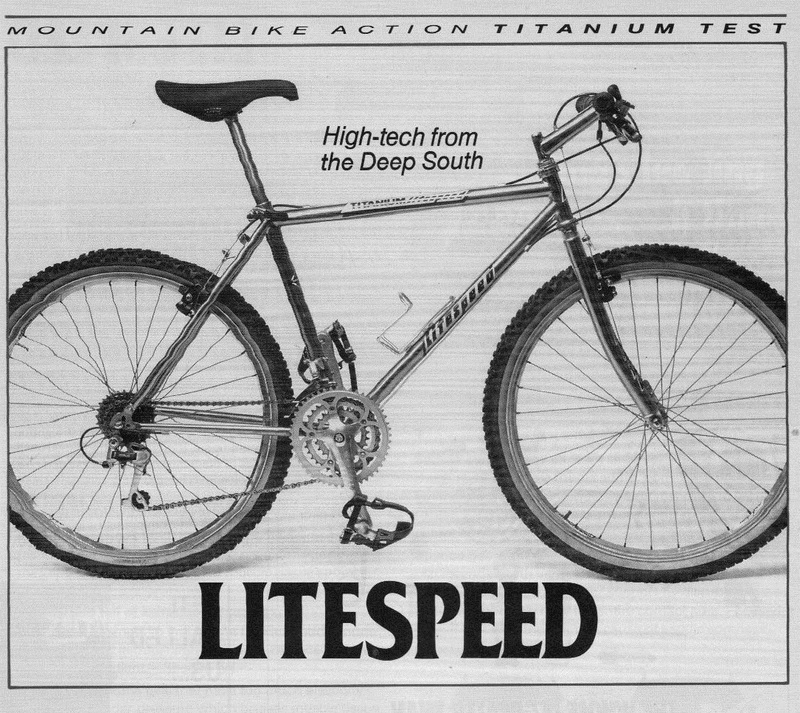 One exception is the Litespeed Tellico. It's famous for being Litespeed's first entirely 6/4 frame. And yes, I love old Litespeeds. Material knowledge is important for a cyclist, but ultimately you should trust the manufacturer's judgement in material selection. Chances are they have the knowledge, experience, and testing capability to decide what's best for their frame designs. These days, there are practically more bottom bracket standards than there are bicycles. As a follow up to Chris's post, I'm going to shed light on a few new technologies beyond the standard square taper. Unlike Chris's post, this post isn't meant to be useful in any way, shape, or form. 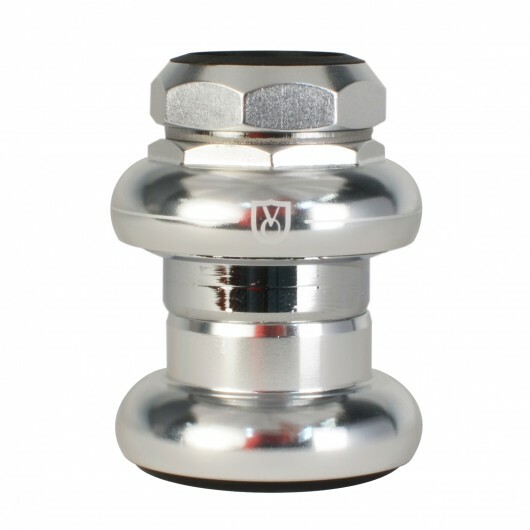 Modern bottom brackets are classified in three different ways: Shell interface, shell width, and spline. Shell interface and width are dependent on your frame while spline is dependent on your crank. All of our frames are English threaded. The Campeur, Pass Hunter, Polyvalent, and Camargue all use the standard road shell width of 68mm. The Piolet uses a 73mm shell to allow for larger tire clearances and mountain components. All of our cranks are JIS square tapered. Please note: in the BB# naming system, the # can refer to the spindle diameter, shell diameter, or shell width. All of these are threadless, but that doesn't mean they're compatible with our threadless bottom bracket. Most are wider shells for larger spindles and bigger bearings. Threadless shells have been around for a while. Merlin frames had their own threadless shell. You can try the new T47 standard if you want the advantages of a large diameter, but without the creaking and noise associated with threadless shells. According to press releases, the T47 should "yield a much higher interface success rate." Bottom bracket shell widths range anywhere from 61 to 132mm. The wider stuff is generally for fatbikes and larger tire clearances. Getting a drivetrain to clear those large tires has been a challenge in the bike industry lately. The solution is usually a combination of thiner chainstay, wider bottom bracket, wider rear, and larger Q factor. The ones you should know (besides square taper) are Shimano Hollowtech II and Campagnolo Ultra Torque. Hollowtech II is compatible with some other stuff. For example, newer models of the FSA Gossamer crank can use a Shimano Ultegra Hollowtech II bottom bracket. I have this on my cross bike. Campagnolo Ultra Torque is certainly less common (if not exclusive to Campagnolo cranks), but new Campy is still cool. Everything else is garbage. 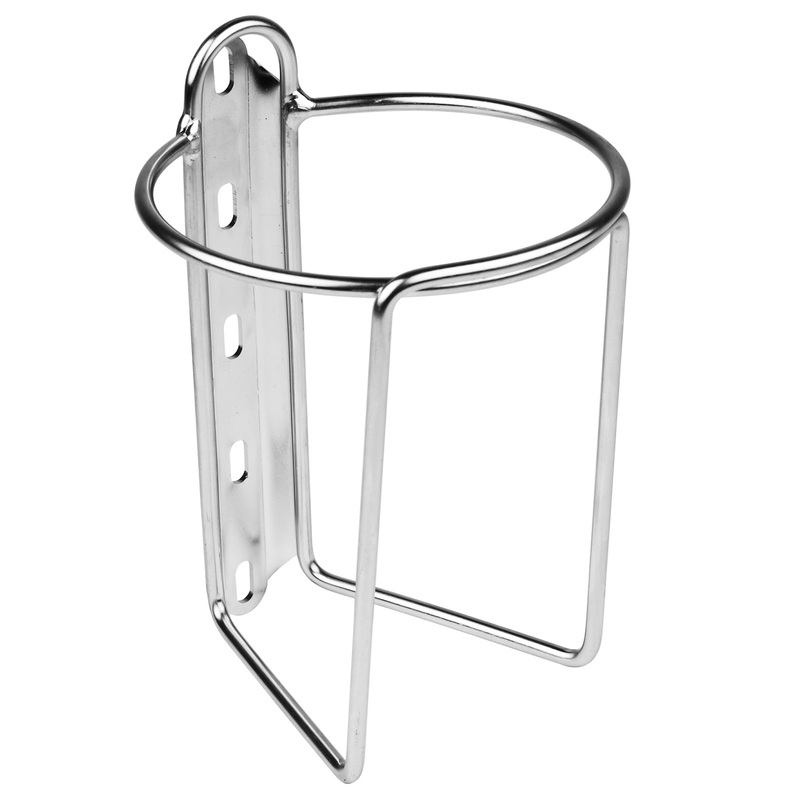 Some of the new bottom brackets have their advantages. Some introduce new problems. Most are designed for stiffness. Maybe someday we'll change, but the square tapers still work. Lately my in-box has been overflowing with questions about bottom brackets. So I thought I'd write this simple guide that I can later forward to those seeking advice. Of course, this is only about square taper cranks and BBs. Some BB are non-symmetrical: the spindle is longer on the drive side. Today it can be hard to find the proper non-symmetrical spindle BB for old cranks. One solution is to use BB spacers to push the BB over a few mm, effectively making a non-symmetrical BB. Or you can just get a slightly wider symmetrical BB and not worry about it. For the most part, only Italian frames use ISO today. The rest of the world uses JIS. But there are exceptions, such as the top-of-the-line Sugino track cranks; all other Sugino cranks are JIS. Some older cranks from Stronglight, TA, and other European companies also used ISO tapers. Only Ofmega and Avocet, of the major manufacturers, used a proprietary taper. One of the problems with this whole idea is that manufacturers sometimes take a casual attitude toward following one standard or the other. I have seen TA cranks, for example, that appear to be ISO and an identical crank that's JIS, or perhaps something in between. The Swiss, improved the French standard by reversing the thread on the drive side. This became the Swiss standard and was adopted not only by Swiss manufacturers but also by a few French companies, notably Motobecane. 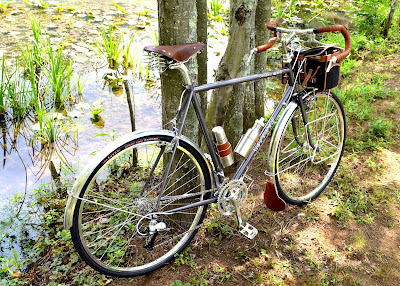 (Motobecane also used French threading on occasion and later switched to British threading; good luck.) The BB shell is 68mm wide and also threaded 35mm X 1mm; but the left cup tightens to the right and the right to the left. The reason for this improved standard was that the spinning of the crank was thought to loosen the right-hand thread non-drive BB cups. After a few decades, the Swiss noticed that French cyclists, in fact, were not stopping every few miles to tighten their cups. And so the standard was quietly abandoned. The only Swiss threaded BBs made today are the super expensive Phil Wood units. But VO does have a threadless BB that is a less expensive alternative. The French standard was also eventually abandoned and, to the everlasting annoyance of the French and of francophiles everywhere, the British (or ISO) standard became the world standard. If your classic frame was made in America, Japan, Taiwan, Germany, or Britain, it almost certainly accepts a British threaded BB. This standard is 1.375" X 24 tpi with the left cup tightening to the right and the right to the left; the BB shell is 68mm wide. Most VO BBs are British thread. Finally the Italians, who we reluctantly acknowledge do know something about bicycles, if only the racing sort, blithely ignored everyone else and stuck to their own standard. The Italian BB shell is 70mm wide and has 36 mm X 24 tpi threading; both cups tighten to the right. VO makes Italian threaded BBs in sizes to fit our cranks. Speaking of Italian BBs, I should note again that at least one company, Ofmega, used there own propitiatory axle taper. They also made Avocet cranks which use the same bizarre standard. A regular taper won't work. I know this since I destroyed an Ofmega crank on my old race bike by trying it. Find a BB on E-bay if you have one of these. If the threads on your frame's BB shell are cross threaded, stripped, or otherwise damaged you can use the VO Threadless BB that I mentioned earlier. 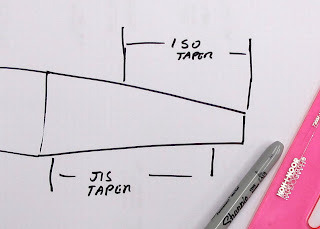 Taper is JIS. We have used these on British, French, and Swiss BB shells and they work perfectly. 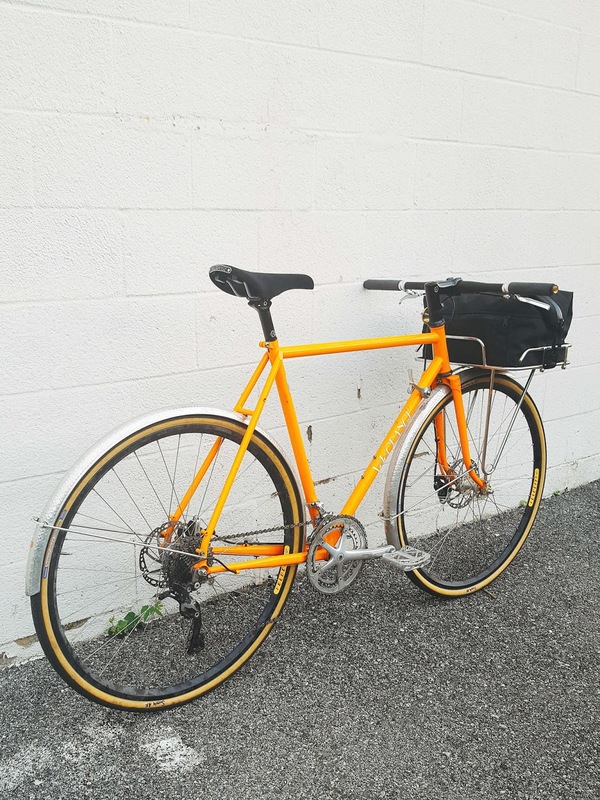 Customers report that they also work in Raleigh frames with a 71mm wide BB shell. These BB's won't work on mountain bikes, as their standard width (73mm) is too wide for the shell to expand. They also do not work on Italian threaded BB shells because those have a wider ID.